USING BIOMIMICRY TO REDESIGN THE FOOD SYSTEM | "Global Possibilities"
Eating is our most intimate relationship with nature. Every time we take a bite of food there is an ecological, economic and social consequence. Food and all its associated activities – growing, processing, distributing, retailing, etc. – impact the environment more than any other human endeavor. Bioneers, for 27 years, has been at the forefront of promoting innovative ideas and practices for developing a healthy, just, and sustainable food system. Bioneers can trace its origins to Seeds of Change and the Native Scholars Program, which worked with indigenous farmers to help conserve traditional cultural practices and seed stocks. Later on, we designed a blueprint for a statewide healthy food system with the Dreaming New Mexico project. Today, we are proud to be hosting the Biomimicry Institute’s Global Design Challenge for Food Systems Innovation at this year’s Bioneers conference. Transforming the dominant food system will require a reframing of how we view nature. The industrial perspective, which sees nature as an antagonist, has resulted in failed solutions that cause waste, toxicity, malnourishment and degradation of the very resources on which agriculture depends. However, viewing nature instead as a cooperative, intelligent and generous partner opens up new pathways of possibility. But how does that help fix the broken food system? Fortunately for all of us, Janine is not only asking that question, but also challenging others to work with the inquiry: “How would nature solve this?” At the 2016 Bioneers Conference, the Biomimicry Institute will award the $100,000 Ray C. Anderson Foundation “Ray of Hope” Prize to the most innovative biomimetic design to achieve global food security. The brilliance of grassroots, creative, nature-inspired design will be shared and placed into the intellectual commons to inspire and catalyze change. This honor is just one of this year’s not-to-be-missed events covering the intersection of Biomimicry and food systems. Janine Benyus’ keynote talk: The Ultimate Symbiosis: Biomimicry as Cooperative Inquiry. 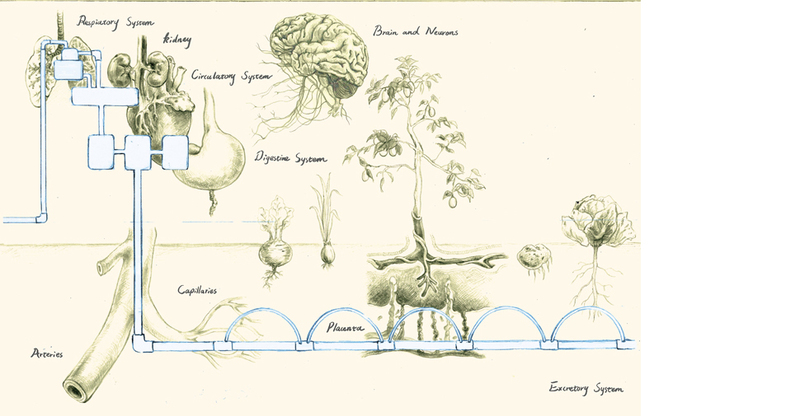 What Would a Biomemetic Food System Look Like? Plus lots more cutting edge sessions on Permaculture, Biomimicry and Indigenous foodways! Look through the lens of Biomimicry at Bioneers and it will reveal a new world of possibilities.